President Michel Aoun headed on Monday morning to Strasbourg at the invitation of the President of the European Parliament Antonio Tajani to deliver a speech at the opening of the parliament’s 2018-2019 session. 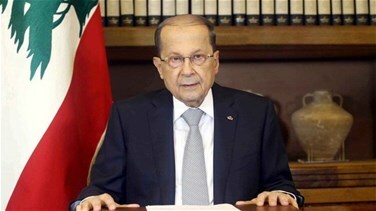 Aoun is accompanied by Lebanese First Lady Nadia Aoun and is expected to hold meetings with top European leaders. He is also set to meet with the Lebanese diaspora in Strasbourg and various European cities.